We’ve been friends for years. I still love you and all, but I think we should part ways in the kitchen. Don’t get me wrong, we’ve had some seriously fun times together. All of that stock frozen in plastic ziplock bags. You didn’t even complain when I used you again and again. And oh, those bendy thin plastic cutting boards and I go way back. I could barely even think of making mirepoix without one. And let’s not forget all those trips to the gym holding my water too–man, that was fun. But now, I think we need a little space. Like a lot of space. Starting with my cutting boards. 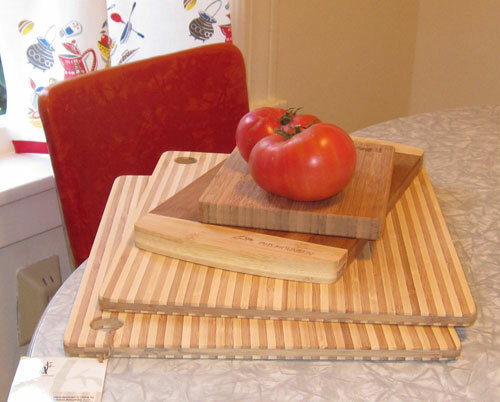 A quick trip to TJ Maxx and voila–cheap yet good looking bamboo wooden cutting boards to do chop many vegetables in the future. 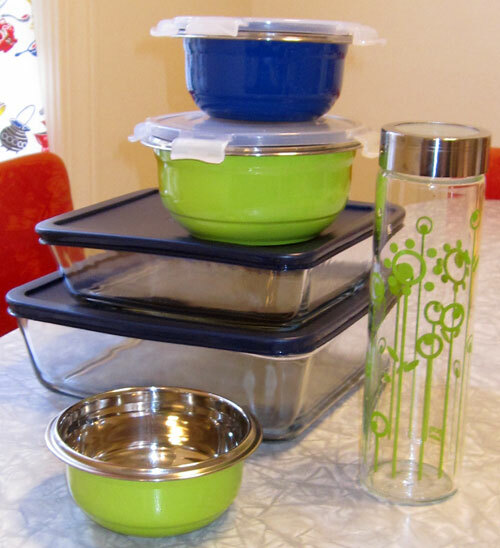 But, Plastic, forgive me, here’s the really hard break-up letter–getting rid of my beloved tupperware-esque Glad plastic containers. But at least these are cute and colorful… And plastic water bottle, you were an expensive habit that is now broken stylishly with this great water bottle. Don’t worry, plastic, you still have a role in my life, but I think the co-dependence needs to end! Next Next post: Pickled Pink!